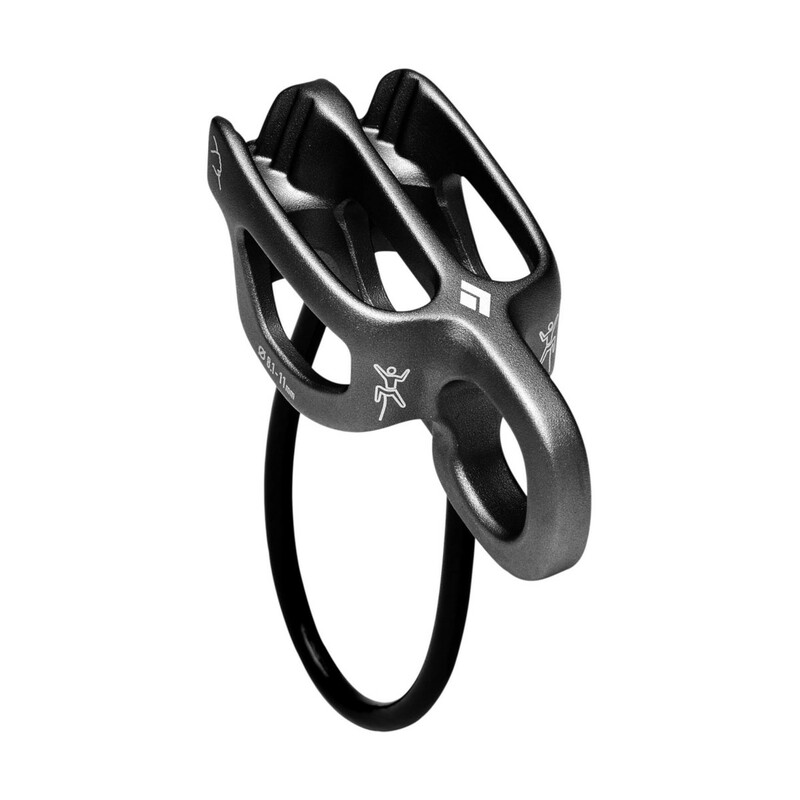 The Black Diamond ATC-Guide Belay / Rappel Device is their most versatile belay/rappel device, updated construction to make the device another 10% lighter (now 80g) with improved feeding and pulling in guide mode thanks to the oval-ized anchor-hole. The Black Diamond ATC-Guide Belay / Rappel Device has an enlarged auto-block release hole to accept a small carabiner, and multiple friction modes provide the optimal amount of stopping power when lowering or rappelling, and the device's guide mode lets you belay one or two seconding climbers off an anchor. It's not the lightest, or the smallest belay device out there, but it is the most effortless to use out of all the other devices that I've tried. Excellent belay device. Lightweight and yet reassuringly robust. Perhaps a little small for use with thicker ropes however.